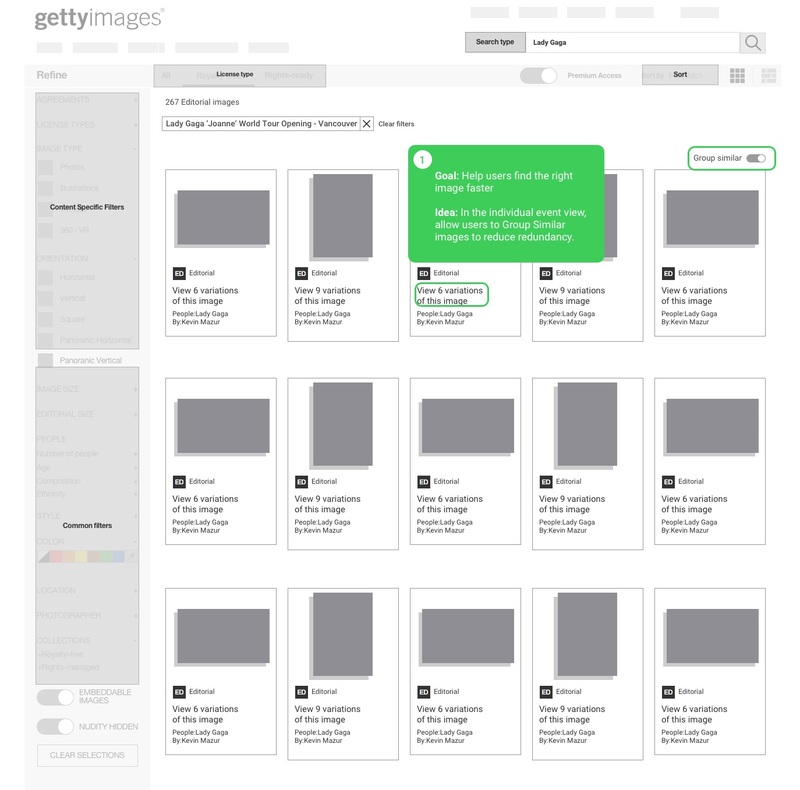 Getty Images wanted to help its users find the right image faster. 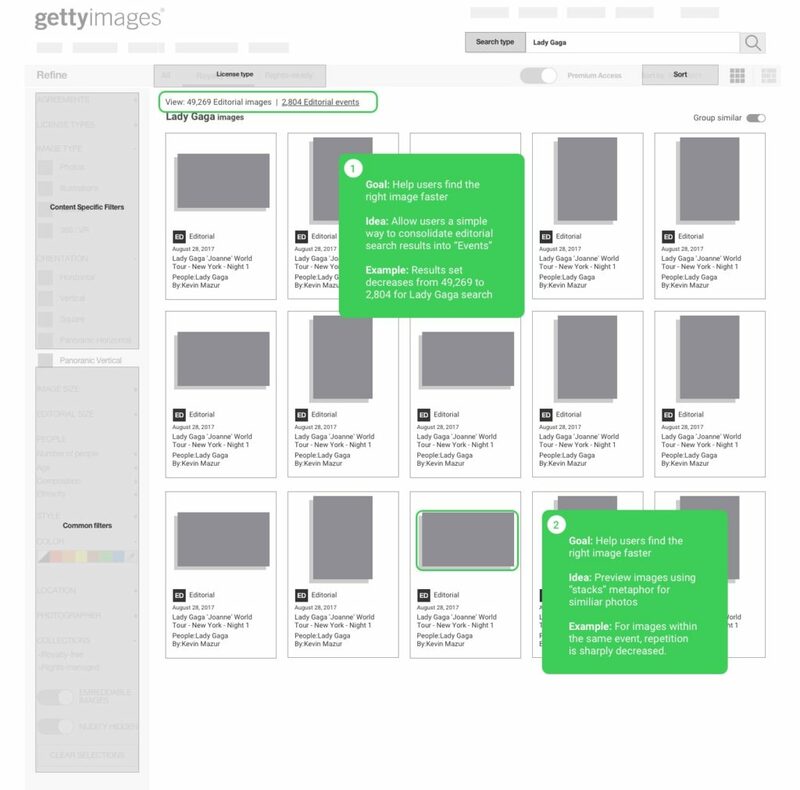 I was involved in planning out how to consolidate the editorial search experience to allow for image grouping by event. 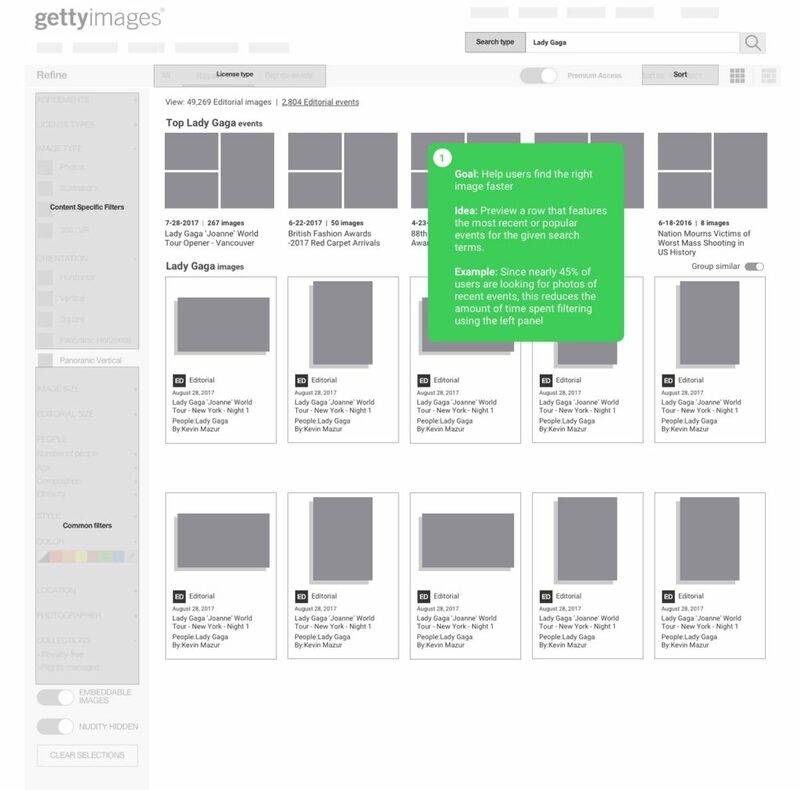 This would have the effect of reducing many typical results sets by over 80%. 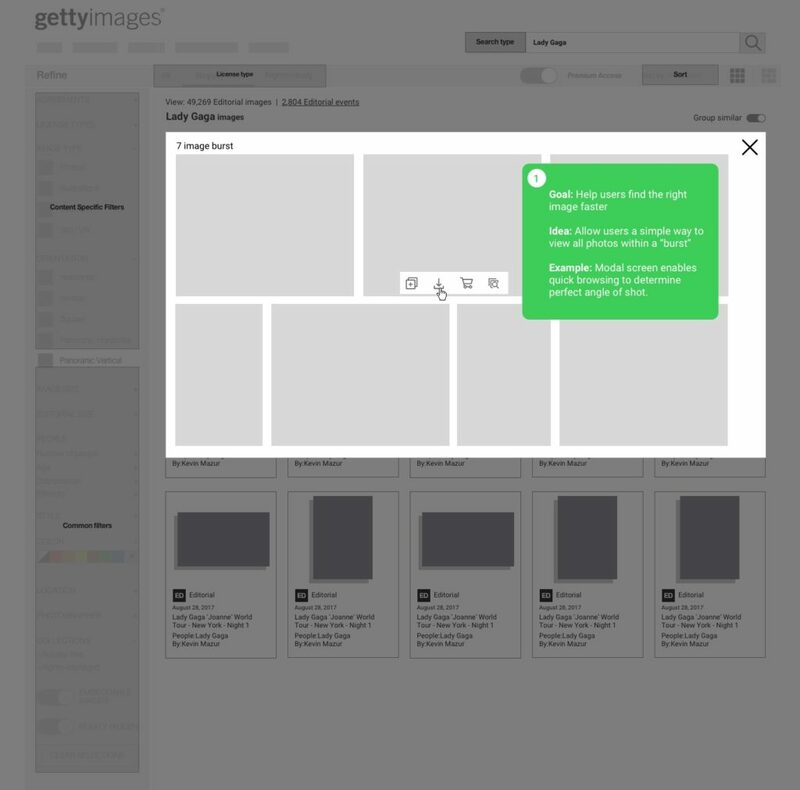 The following wireframes show possible ways to make this functionality intuitive within the search interface.